One of my favorite things about January is reminiscing about the year past and remembering the fun memories and good times. I look back on pictures I took, journal entries I wrote and events I attended. It helps boost my enthusiasm for the year ahead, for all the memories in store. Yes, January is a month I look forward to every year and this year was no different. Readers from literally all over the world have read this blog this year! 77 countries in all, to be exact. Most readers live in the United States, but other countries such as Australia, the U.K. and India trail closely behind. A San Francisco cable car holds 60 people. This blog was viewed more than 3,000 times in 2014. If it were a cable car, it would take about 48 trips to carry that many people. Many readers found this blog through LinkedIn, Facebook, Twitter and Pinterest. Interviews with students and lists of career tips were two of the top subjects readers liked the most. Whether you’re interning, working, volunteering, studying abroad or just relaxing this winter session, these stats wouldn’t be what they are without you as a reader. 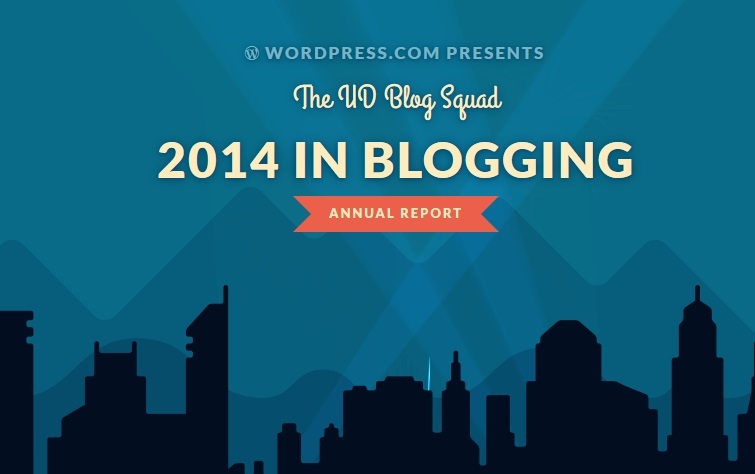 Thank you for following the UD Blog Squad and joining the conversations on Twitter and Facebook. I, for one, am very excited to see what 2015 will bring! I guess we’ll just have to wait to find out.